Great friends and neighbors shared a fine afternoon and evening at Sol Treasures in King City. Civil War music by Timshel, the Sol Treasures children’s chorus and YOSAL instrumentalists was enjoyed by all. Marvelous quilts and amazing Civil War memorabilia were on display. I got a chance to sign books, too. 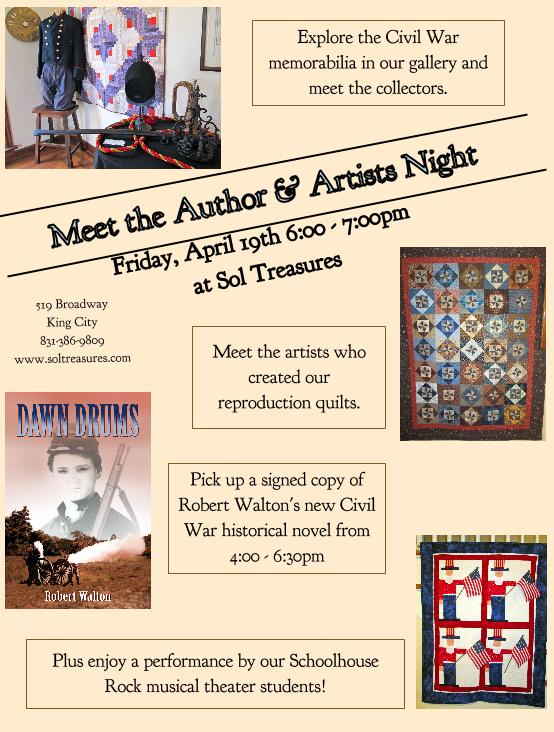 Numerous people kept Sol Treasures crowded with fans for a local author’s book signing. Local author Bob Walton held a book signing last Thursday at Sol Treasures Arts and Cultural Enrichment Center for his latest novel, “Chaos Gate.” Though he signed books through the entire evening event, Walton’s first half hour was spent signing books from fans, many of whom had bought multiple copies. 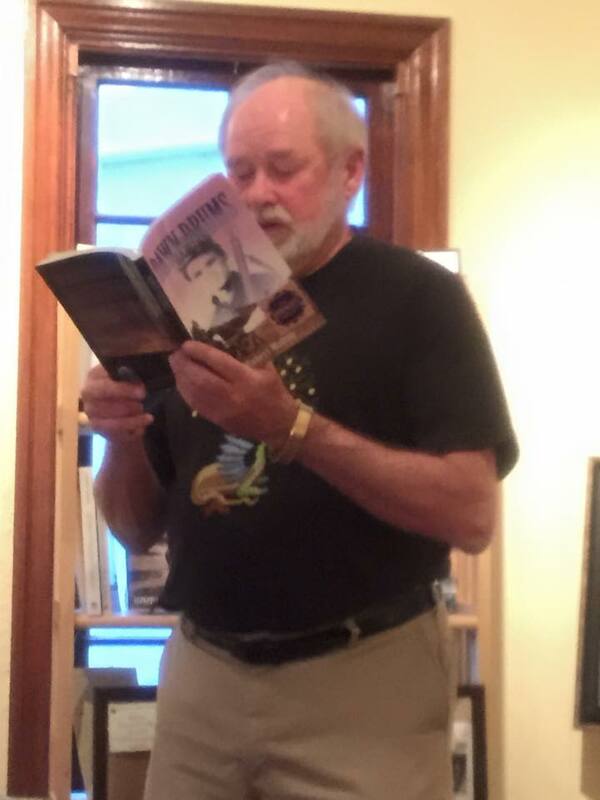 Throughout the event, he wore his author’s shirt made for him by the late Betty Anderson, featuring a dragon and a lemon tree. While Walton signed books and visited with guests, Sol Treasures volunteers provided refreshments and took care of the book sales. The crowd at the event not only chatted with the author, but visited with each other in the art gallery. 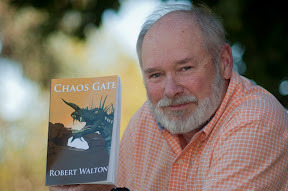 The novel on sale last Thursday was “Chaos Gate,” which was published in September by Yorkshire Publishing in Oklahoma. The fantasy novel is a sequel to Walton’s earlier work, “The Dragon and the Lemon Tree,” and continue the adventures of Mere Rowan.